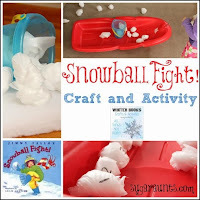 We love coming up with fun crafts and activities based on favorite books. 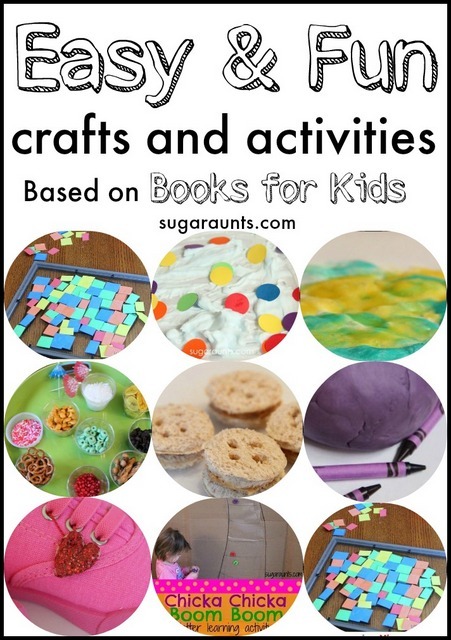 This is a collection of crafts and activities that go along with some fun books for Preschoolers, Toddlers, and School-aged kids. Kids remember the activity that you create for a book long after they've read a book. So often, my kids will say (out of the blue), "Hey Mom, remember when we made bear puppets?" in reference to our We're Going on a Bear Hunt activity. We love to create multi-sensory play and learning enrichment activities to extend themes of books. 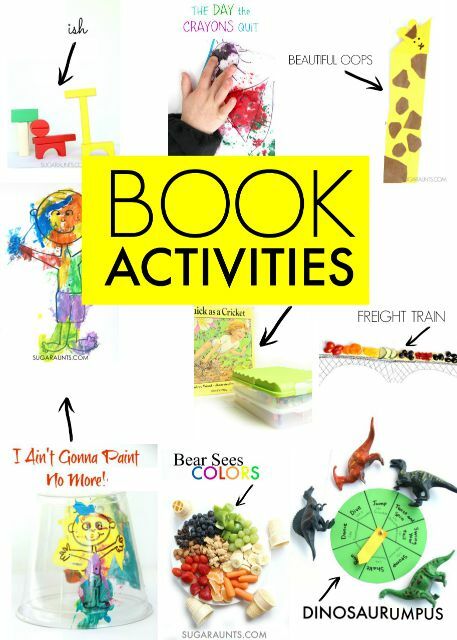 We've covered many Preschool books in our blogging days, but also many school-aged books with creative play and learning ideas. We'll be adding to this page, so be sure to stop back for more fun ideas! 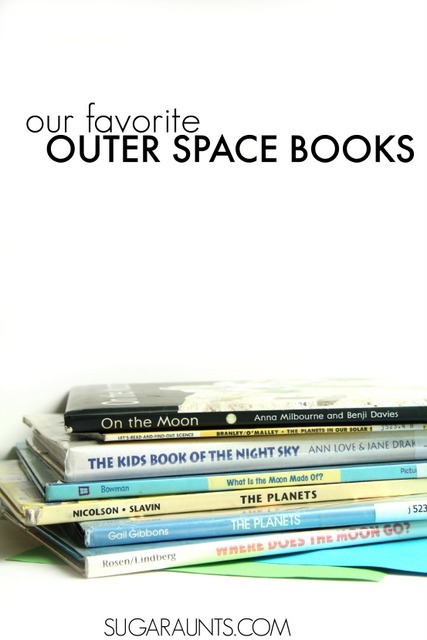 Love exploring books with hands-on play? 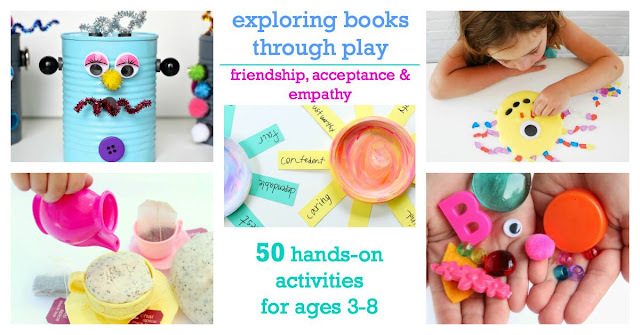 Grab our NEW book, Exploring Books Through Play: 50 Activities based on Books About Friendship, Acceptance, and Empathy, that explores friendship, acceptance, and empathy through popular (and amazing) children's books! 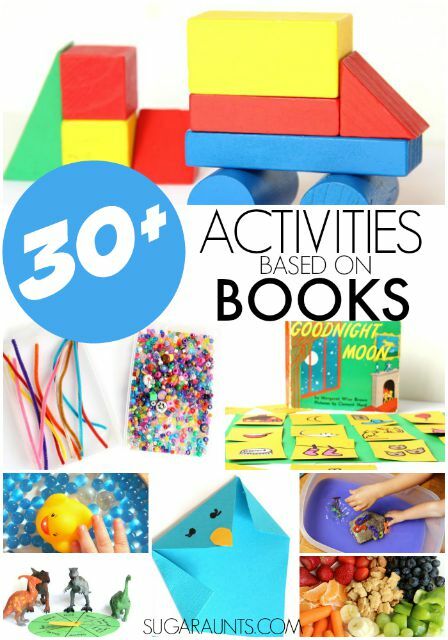 It's 50 hands-on activities that use math, fine motor skills, movement, art, crafts, and creativity to support social emotional development.